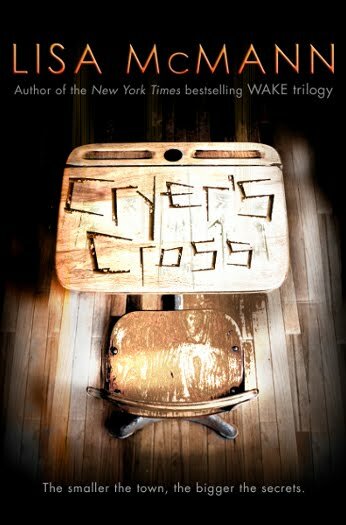 Turn the first page, enter the town of Cryer's Cross, and go on faith. It's worth it. 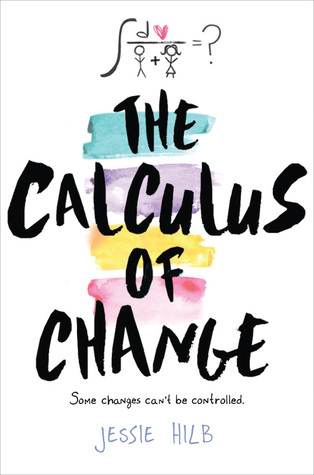 Before I picked up my copy of this book to start reading, I had seen a lot of 4 and 5-star reviews popping up on Goodreads and blogs. That got me really amped up to read it, so I settled back one night, dove in and waited for that good old reading magic to happen. McMann's unflowery writing style, the intense detail, and deliberate repetition as well as the worldbuilding kept me intrigued and plowing ahead. 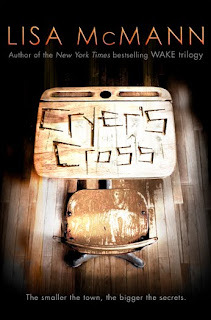 Cryer's Cross, Montana, was so well-defined that I could picture it my head. The tiny farming community, the one-room high school, the fields and the people. Hector ans Mr. Greenwood sitting on the porch of the general store was a scene that's very familiar to me. (Except where I'm from you hang out at the local pharmacy/grill.) Those things and faith alone urged me forward. But at about the half-way point I was still waiting for something to really kick-start the plot. I had been promised paranormal after all and at this point it was more of a psychological thriller in the making. Then, right at the mid-point, it felt like a gunshot went off and it was a race to the finish. That was when Cryer's Cross became bone-chillingly creepy. The town itself shifted. It transformed slowly from a quaint farming community into a darker, more sinister place full of secrets buried deep. Tension built, my chest got tight, and I was flipping pages to so fast that I feared papercuts. I was up until 3a.m. because I couldn't bear to put it down with mere chapters left. I was blown away when I finally let go of this book. Images and voices from this novel haunted me for days afterwards. I was disturbed, creeped out and somewhat scared to go to bed, and thoroughly satisfied. The characters were interesting and well-developed, particularly Kendall and Jacian. The build of their relationship is never rushed and is entirely beautiful. Kendall's best friend Nico is the one character I wished had been more fully developed because I wanted to connect with him and didn't. I can't say more for sake of spoilery, but luckily the emotion is well-conveyed through other characters around him. There are also characters that I never expected to be fleshed out much who were. Turn's out there's a linchpin to this story that you might miss if you aren't looking close enough. Needless to say, there is now a finished copy of this on my shelves. Nice review Susan, makes me wanna go pick it up right now! But if you are not sleeping because of it I might really be in trouble, lol. I just got this one from the Library today and I CANNOT WAIT to start it! SQUEE!!!! It just sounds so amazing. I was kind of put off by this book at first because of the cover. But then I started seeing a lot of great reviews on it and I added it to my reading list. You really have me intrigued now and have me wanting to go find a copy of it very soon. Thank you. :) I'm always glad to be put off by a cover, but then find myself very intrigued by the story. Never judge a book by it's cover, aye? Great review! I'm hoping to get this at the NYC Teen Author Festival on the 20th when she'll be signing.